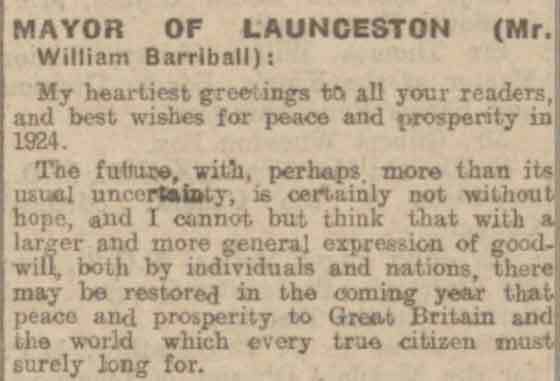 The bio of William Barriball | Launceston Then! William was born in 1875 to Daniel and Catherine Barriball at Plympton, Devon. His father was a grocer running his shop, Barriball and Sons, in Southgate place just at the junction with Angel hill. He was educated at Horwell boy’s Grammar school. William followed into his fathers business and later with his brother Ernest, taking it over on his father’s retirement. He married Elizabeth (Bessie) Kate Rowse on the 13th of April 1899 at Hicks Mill, Truro and they set up home in Church street, Launceston. They had one child, a daughter, Catherine Lois b. 1901. 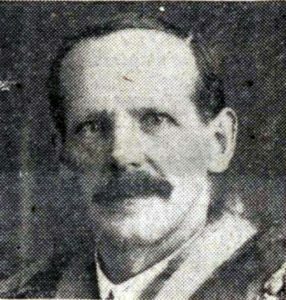 In 1913 he was elected to the town council and later served as mayor on 2 occasions. 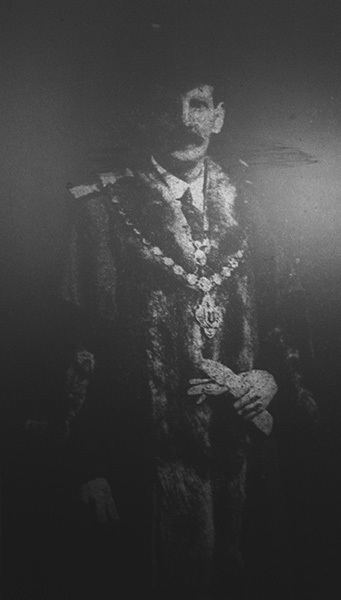 He was also a member of the Cornwall County council and a president of the local Liberal association. 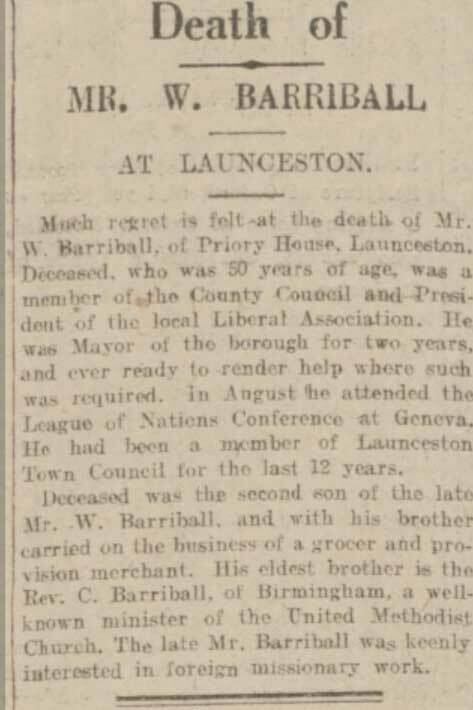 He died at his home of Priory House, St. Thomas road, Launceston on the 14th of April 1925 at the age of 50.